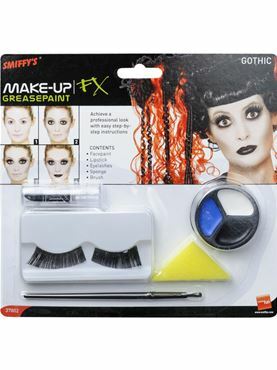 Take Extra Care this Halloween as she is Very Fragile! 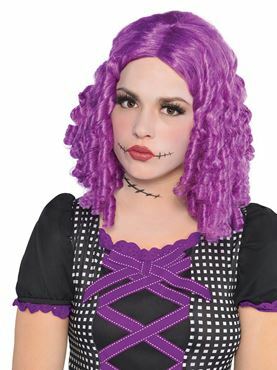 Dress Up as Something Unique with our Adult Broken Porcelain Doll Costume. 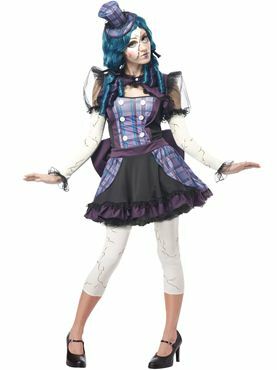 Plot your Revenge on the Little Girl that did not Handle you with Care this Halloween with our Adult Broken Doll Costume. 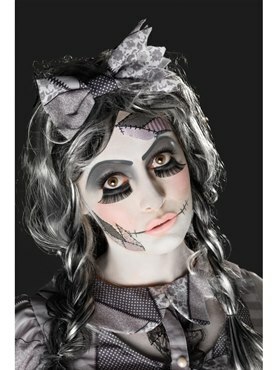 The Fragile Dolly is looking for a new Toy to play with! 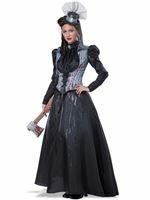 The Costume comes complete with a Purple Tartan Printed Dress with Buttons on the Bodice and an attached Skirt detailing a Multi Layered Black and Purple Hem. Reveal the Damage with the White Cracked Effect Leggings and Matching Shrug with Long Sleeves and Puffball Netted Shoulders. 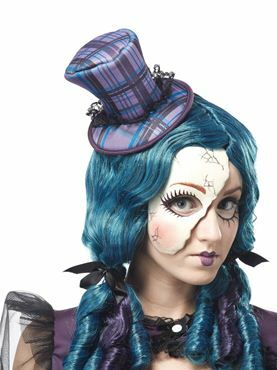 Completing the Misfit Dolly is the Mini Matching Purple Tartan Top Hat and a Half Face Cracked White Mask.